Angina is a word used to describe chest pain and this is mostly brought about by coronary artery diseases. 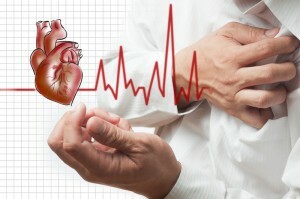 Refractory Angina is a diagnosis used to describe chronic chest pains that cannot be relieved. This pain syndrome is related to ischemia and could lead to a difficult life with sleep deprivation, depression and a general reduction in everyday activities. 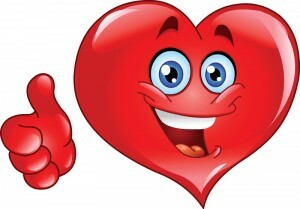 With this heart condition, the pain is the disease and because it is long term pain it could be crippling. Patients with Refractory Angina tend to breakdown and are often hospitalized. It is believed that the symptoms of angina are largely activated by ischemia nociceptors which bring about an imbalance in the oxygen supply and demands of the heart. Chest pains work to trigger sympathetic nervous system through the cardiac sympathetic nerves which then produce hypertension and tachycardia. This whole scenario elevates myocardial oxygen needs and produces further imbalance between the demand and supply of oxygen. Although Refractory Angina has a low mortality rate, patients are at a higher risk of suffering heart attacks and this could worsen the condition. This is a condition that cannot be ignored and various treatments are tried out to help provide relief. Some of the treatments that patients undergo are outpatient counseling and rehabilitation. Psychotherapy is also a must attend treatment and this is because most patients may have already undergone various cardiac surgeries. Psychotherapy has been shown to help reduce the episodes of angina and generally helps improve the patient’s quality of life. Transcutaneous electrical nerve stimulation (TENs) is useful in treating Refractory Angina. Patients are advised to use this treatment at least three times a day for an hour. The treatment comes in handy especially when undergoing angina attacks. TENs can help increase the patient’ s tolerance to exercise and reduce ischemic attack incidents. Destructive sympathectomy has been administered in certain cardiothoracic centers. Temporary sympathectomy has been useful in reducing angina. Unfortunately, the duration of relief is highly unpredictable with this therapy. Studies are currently in progress to investigate if Refractory Angina can be treated with stem cell therapy. It has been demonstrated that hematopoietic stem cells could help provide relief from refractory angina. Though the study is in its second phase, it is said that the patients given these injection had improved results when compared to those who has placebo injections which goes to show that stem cell therapy may be the answer to chest pain. The study which was published in the Journal of the American Heart Association showed that the relief benefits lasted for about a year and was boosted with exercise. Although there still needs to be much research conducted on the use of stem cell therapy for angina, it’s safe to say that the results are promising. Overall, it was discovered that the mortality rates though low improved with stem cell treatments. There was a zero percent mortality rate on the patients who underwent the stem cell therapy while a death rate of 5.4 percent was realized within 12 months of undergoing the placebo treatments. Request Appointment for Stem Cell Therapy for Refractory Angina!